During Ferrari's annual stockholders' meeting, company chairman Luca di Montezemolo announced that Jean Todt has resigned from all of his duties at the automaker. The former CEO and Formula One head has been the face of Ferrari for the last 15 years, joining the automaker in 1993 after a successful stint at Peugeot where he was instrumental in the French company's motorsports successes. In the following years, Todt thoroughly reorganized the Ferrari F1 team, eventually bringing racing legend Michael Schumacher, along with Ross Brawn and Rory Byrne, into the fold, and went on to preside over seven constructors' wins and five drivers' championships. Todt hasn't announced his next step, but we imagine a cocktail on the Riviera is in his future. Ferrari's press release is posted after the jump. Maranello, March 17th 2009 – The Annual General Ferrari Stockholders' Meeting took place today under the chairmanship of Chairman Luca di Montezemolo. The Meeting approved the 2008 balance sheet and annual report which, as announced over the last few days, revealed record results across all of the main economic indicators. The first and foremost of these was, of course, profitability with the ROS (Return on Sales) rising to 17.6%. Ferrari recorded revenues of 1,921 million euro (+15.2%) in 2008 with its Brand-related activities (licensing, retail and ecommerce) growing particularly strongly (28%). Investments were up to 18% of turnover too. Also at today's Meeting, Chairman Luca di Montezemolo announced Jean Todt's decision to resign his membership of the Ferrari Board of Directors and from all of the other positions he holds in the Company. The Chairman then thanked Mr Todt on behalf of the Board of Directors and everyone at Ferrari, for the major contribution he has made to the success of the Scuderia over the years, and the commitment and dedication he has shown in all of the positions he has held since he arrived at Maranello in 1993. Mr Todt's appointments at Ferrari included those of GES Director, CEO and Member of the Board of Directors. "Jean Todt has been one of the leading protagonists of the Ferrari story of the last 15 years," declared Montezemolo. "Skill and passion have always characterised his work and have won him the respect and affection of my staff, the Company as a whole and Prancing Horse enthusiasts everywhere. I would like to wish him the very best for the future which I hope will prove extremely satisfying both personally and professionally." 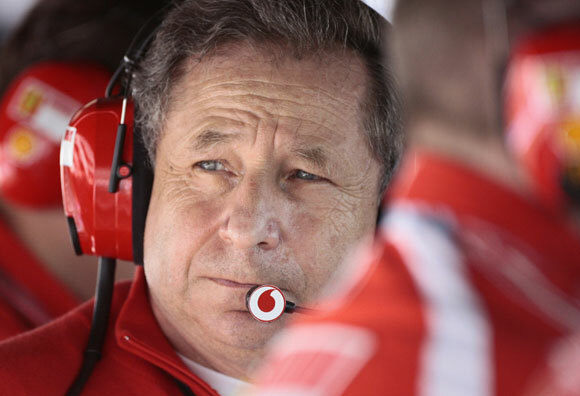 "All of these years we've spent together – victories and tough times included – have forged a link between Jean Todt and Ferrari that will never be broken," concluded the Chairman.